I don't know about you, but sheet mask is essential to my skin care routine. I love the fact that they are easy to use and no mess created like some of the jelly-type ones that you apply from a tub. Sheet masks come in various price ranges and have different functions. When I was living in Hong Kong, sheet masks were definitely a staple for everyone's skincare routine, but not so much in the UK. Now that can be really annoying because I don't have sheet masks readily available to purchase and have to order them online. My routine consists of the cheaper range, but just as amazingly effective, sheet masks, so it definitely is a challenge to get them - I got them in the end and will share the sites to where I got them from at the end of this post. To increase the efficacy of my sheet masks, these are 10 things I do (maybe not at once?) that make the masking process work better for me. Remember what works for me might not work for you - you know your skin best! Below are 2 different sheet masks of different thickness. Now I didn't take these images properly so you might not be able to tell, but if you look at the brows, you can tell that the SNP Fruits Gelato Moisture Mask is a lot thinner than the Garnier SkinActive Moisture Bomb Tissue Mask (which by the way, I don't recommend using. The thinner masks I've used have a ton of product on there and because it's thin, the mask adheres to the face/skin better after you're done adjusting it. The products also seem to be absorbed a lot easier; I'm sure there is a scientific explanation and welcome anyone who knows it (along the lines of diffusion? ), but I've been masking for years and without fail the thinner ones have worked a whole lot better than the normal thickness sheet masks. They also slide around less - and they will slide at first because of how much product is on the mask. 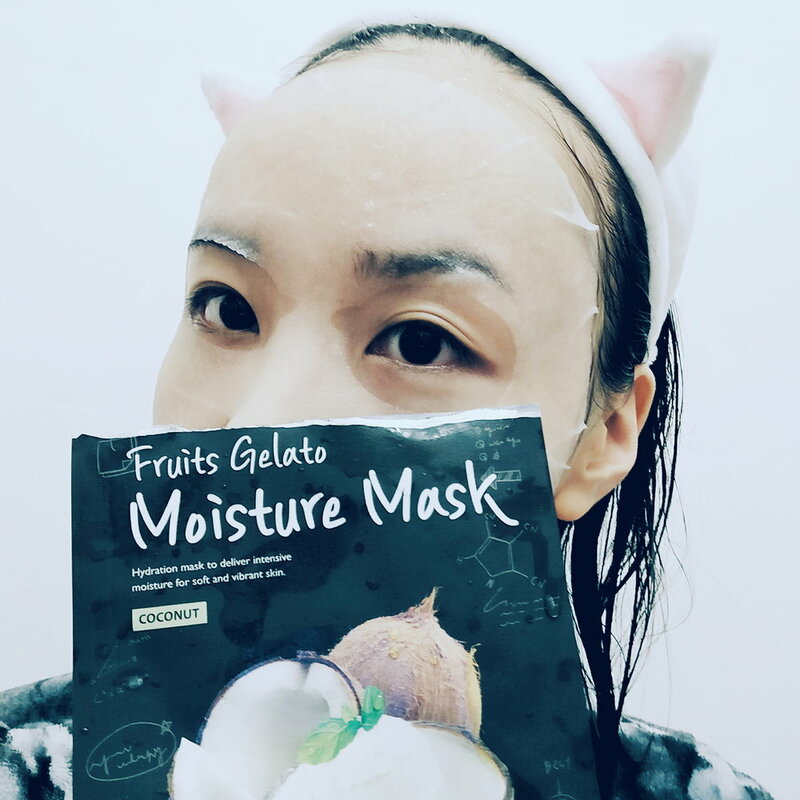 The Fruits Gelato moisture mask is also not made of tissue either so the serum isn't lost in the material. In a nutshell, thinner masks equal to: 1) less sliding around, 2) more product, and 3) easier absorption. This really should be a no-brainer - removing the top layer of dead skin reveals new skin that is active and ready to absorb the serum in the mask. You will also bypass that dead skin, which in turn means better absorption of serum and deeper layers of the skin will get whatever that's in the serum better. Another no-brainer - nothing worse than putting on a lovely, product-soaked sheet mask on dirty, congested skin with clogged pores! My skincare routine consists of double cleansing, to make sure my skin is squeaky clean before I use any serum or sheet masks. It makes such a huge difference and if you're not already doing this, you really should reconsider. Every now and then I will also use a deep cleansing mask to draw out all the excess oils, dirt and other impurities from the skin after exfoliation and double cleansing so all the pores are cleaned out. I'm not a fan of those pore strips or the ones where you peel from the face because essentially you are dragging your skin when you're peeling the mask/strip off, and one of the major factors to large pores is this movement that puts excess force on your skin and pores and over time will make your pores droop and give the appearance of large pores. This really isn't going to be everyone's cup of tea, but I've started shaving my face, and not only have it gotten rid of any tiny hairs on the face (of course), it also gives you mechanical exfoliation without scrubbing the hell out of your face and removes the dead skin on the surface. My face felt so smooth after every time I've done it and I feel like the products from sheet mask penetrate into the skin better too. There are so many face masks out there with different functions like dullness improvement, repair and rescue, anti-aging...etc. etc. etc. The one kind of sheet mask that I come back to without fail are hydration sheet masks. The more intense the hydration, the better (my favourite being the SNP Coconut one pictured above). I have a lot of pigmentation in my skin from acne scarring, and some of the scarring is pretty deep. There are plenty of spot treatments that deal with it, but I found that hydration masks are so good in dealing with them. They're not a solution, but your skin needs water to heal and regenerate. In effect, I've noticed that new scars healed and faded a lot quicker after using hydrating skin masks and complexion is greatly improved as well. Many people also have dehydrated skin but don't know it and assume that it's oily skin because their skin produces more sebum to counteract the lack of water in the skin. I was one of those people and once I've incorporated hydrating sheet masks in my routine the sebum production definitely improved now that the skin has that water/oil balance. Needless to say that dry skin will find relief in hydrating sheet masks. This, again, is not going to be everyone's cup of tea and really depends on how your skin reacts to these products. Occasionally my skin will feel like it's in a crisis and a year ago it was like that. There is just so much frustration when you have skin that is troublesome like that and you feel like your products aren't doing anything. I'd just like to say that it's normal because it takes time for your skin to renew, repair and turnover new skin for you. One of the things that really worked for me in improving my skin was actually masking every day. Now some people say that it's not good for you - it can be if your skin isn't tolerant so I'd recommend really seeing how the mask works first before you do this. There are a lot of celebs in Asia who religiously mask every day and their skin is immaculate, so there must be something there right? A lot of products that improves your skin needs to be used as a habit to actually work. Coming from that theory I thought the same with sheet masks and tried to use a hydration mask every single day. It's been a while so I don't remember how long I've used it for, but it definitely was between 7-10 days. I can honestly say that I notice a huge difference in how soft my skin has become and thus I use it almost everyday now as part of my evening skin routine. To be fair, this has been in a lot of people's skincare routine anyway, at least in Asia I'm sure. One thing to really be cautious of is the kind of mask that you're thinking of doing this with. Hydration masks are great because they're not really damaging or peeling or anything; but if the products contain acids or Vitamin C, I wouldn't recommend this method because it will damage your skin. Again, if your skin is tolerant, by all means try it - I've tried using clay masks everyday (not always recommended) because my skin can tolerate it and have noticed significant difference in how much cleaner my skin is. I know what you're thinking - the mask cost money and I'm only using it once and I'm gonna dispose it, so I'm going to wait til my skin absorbs every single drop of product from the mask before I take it off. Unfortunately it doesn't work that way - moisture and other goodness in your skin will actually start to diffuse out of your skin and into the mask if it gets too dry. Again, don't quote me on this, but by laws of diffusion, particles move from a high concentration gradient to a low concentration gradient - this means that when there is a low concentration of product in the sheet mask/when it dries, the molecules from the skin will start to move towards it. What does this mean? Yup, your face mask step of the routine hasn't done you any favours! You'll usually see a recommended time on the sheet mask (usually between 20-30 minutes), but depending on the condition of your skin, you may need less/more time. When my skin is really dehydrated, it tends to absorb products from the mask a lot quicker, so I need less time on it, probably on the 20-25 minute mark rather than the 35-40 mark. If the mask is more nourishing/richer, my skin tend to take a little longer to absorb (35-40 minutes). I'd love to give you a precise range but it honestly depends on a lot of things. One thing that I do to check whether I should take the mask off is to touch the mask with my fingers and see how wet it is. If it feels very much like when you first pulled it out of the packet and applied to your face, you can still leave it on for a bit. 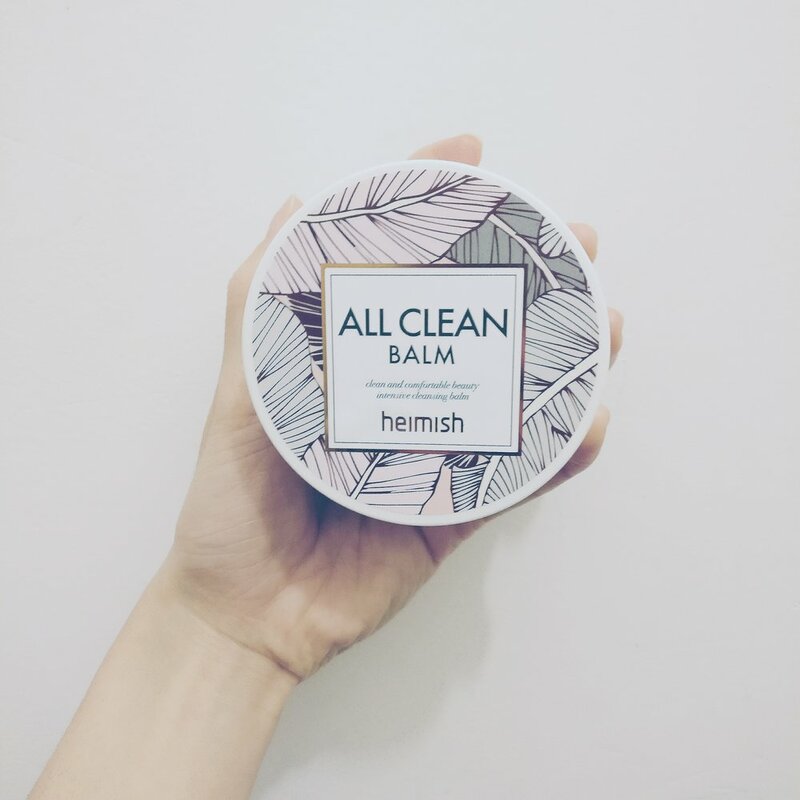 If it's dry to touch or have little moisture left then you've definitely left it on for too long, also you might find that your skin feels a little tightening as it's drying out. Usually when I touch the mask and it feels like clothes that's just been out of the washing machine (just laughing at how ridiculous my analogy here, laughing at my screen like an idiot. Ah, things that only I find funny). And then because I'm a stingy person I wipe that mask I've taken off on other parts of the body too like my neck and legs. 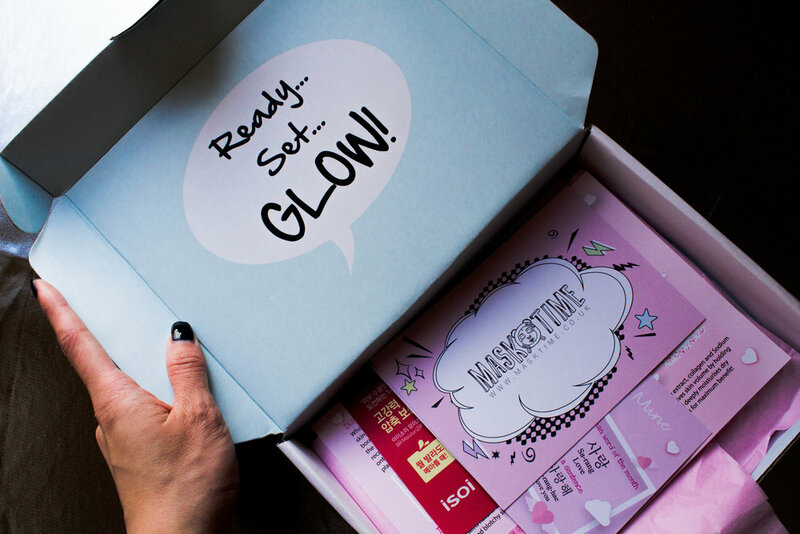 What was your first experience with sheet mask like? Mine was battling through the various flaps, getting some of it in the eyes, leaving gaps and a lot of wrinkles in the mask. All counter productive to sheet masking. What I found worked is to unfold the mask (if it comes in one piece), unfold the nose bit that gets folded in so you'd actually be covering your nose too. Holding the mask from the top, apply the mask from your nose (nose touch nose flap; you might have to lift your head/face a little), then gradually fix the top half of the mask around the eyes, then the bottom around the lips. At this point your mask might be disorientated, but all is good if the nose part (aka the centre part, maybe I should have just said that) is in the right position. Most masks would have cut a little across the cheek, so you can adjust the top and bottom half a lot easier. I tend to adjust the bottom bit first, fixing the ends upwards towards the ear, then the top, fixing the loose ends on top of the ones on the bottom. It's tempting, believe me, but I never do it. I've seen on the internet somewhere that it's harder for the product on the mask to penetrate into the skin when you have dry skin. Essentially that dry skin is like a wall and those poor molecules have to bash through it to get to the layers of the skin you want them to be in. So what you're doing when your skin surface is dry is letting that surface take in the goodness of the mask instead of allowing the products to immediately soak in effectively. 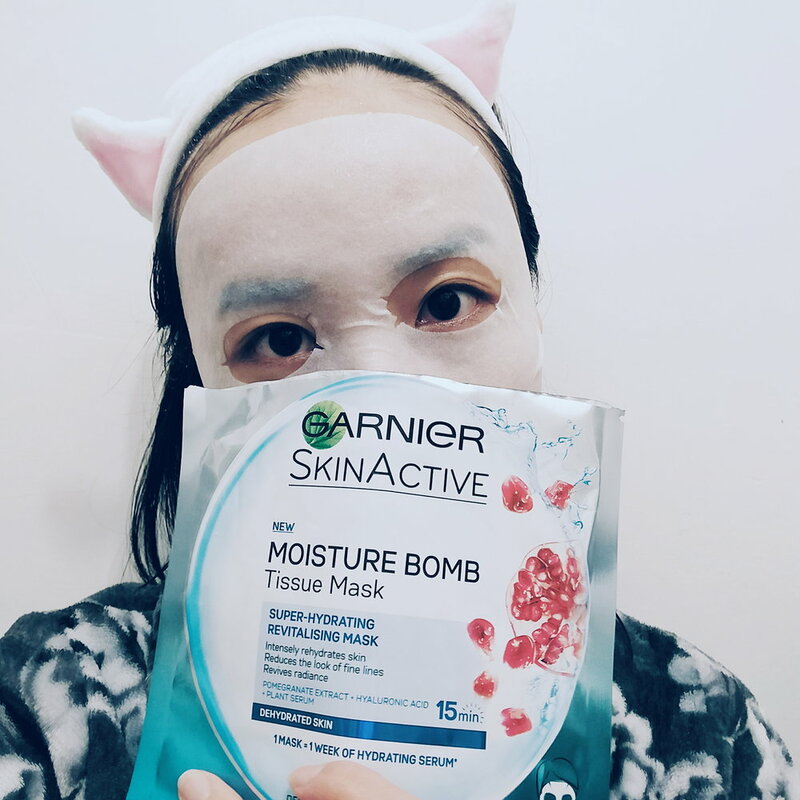 After cleansing, I always use toner to rehydrate the skin and remove any sediments in the kind of water we have from the skin, once again cleansing it mildly as well as re-hydrating the top layer, so the products in the mask can penetrate better. Now that you've removed your mask from your face, check out all the product that's still sitting on the top of your skin! Don't you even dare wipe what's on there off. This, again, should be a no-brainer; before you layer on your moisturiser or other serums, pat in the product with your fingers so the skin soaks up the rest of the product that's left. You don't have to pat until it's completely dry, but as much as possible so it's not wet. This would also make it easier for your moisturiser/other products to soak into the skin and not leave random trails or slide all over the face. Lots of sales going on depending on when you look at it - you'll find a really good selection of Asian Beauty Products and sheet masks here. It's a lot of products they have though so you may need to spend some time looking at it! Did you find this helpful? What worked for you and what didn't? What are your own masking tips? Would love to hear what you guys do!